Here it is, the final make-or-break for DC. They’ve had some real stinkers on the lead-up to their Avengers knock off, but this is their chance to finally prove themselves. They’re coming off hot from Wonder Woman, which was released earlier this year, and they’re coming out swinging. The movie picks up with the death of Superman, because you can’t have your deus ex wandering around right at the get go. A villain called Steppenwolf lands on Diana’s Amazonian island and uses this as the staging ground for destroying the world. Apart from this, his main crime is getting Boney M stuck in my head. Fuelled by his restored faith in humanity, and inspired by Superman’s selfless act, Bruce Wayne enlists the help of his newfound ally, Diana Prince, to face an even greater enemy. 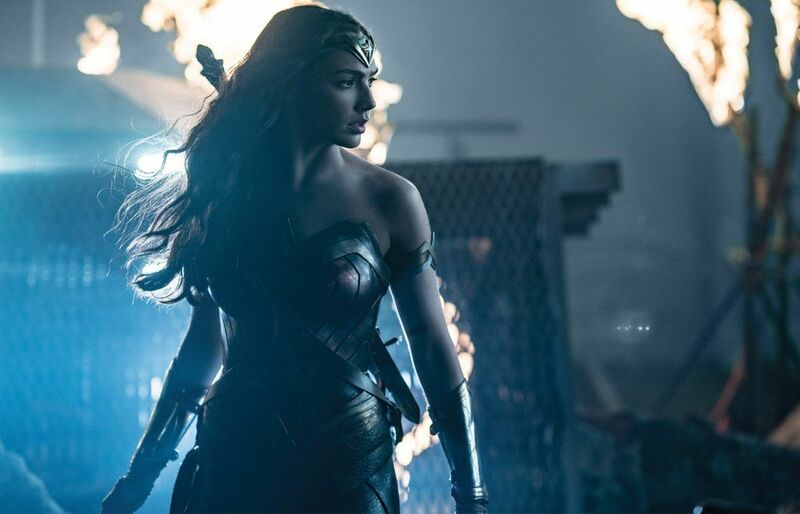 Together, Batman and Wonder Woman work quickly to find and recruit a team of metahumans to stand against the V. But despite the formation of this unprecedented league of heroes – Batman, Wonder Woman, Aquaman, Cyborg and The Flash – it may already be too late to save the planet from an assault of catastrophic proportions. It’ll be an ambitious movie to pull off and it has a darker tone in general to its Marvel counterparts. Zack Snyder knows how to do action for sure, and it’s going to be a safe bet that there will be a ton of neat CGI explosions and fight scenes in Justice League. It hasn’t been smooth sailing for the movie, though. Zack Snyder had to drop out due to family tragedy at one stage, with veteran heroes director Joss Whedon taking the director’s chair. Zack’s vision for the movies also haven’t jelled with the studio either. DC had a much different idea for the movies, but they’ve got a personal philosophy of being director-driven in their decision making. Or so they say. Either you’re amped to see The Disaster Artist, or you have absolutely no idea what’s going on. James Franco went full method actor to get into the role of Tommy Wiseau, the creator of The Room, a movie that has become a cult classic for being such an atrocious film. The movie plays as a behind the scenes look at how such an abomination got made in the first place. Franco gets his little brother Dave Franco to play his co-star Greg Sestero, the optimistic actor who was just looking for a break in the industry. I feel like you need to have seen The Room to fully appreciate this film but at the same time I can’t in good conscience tell you to go see it beforehand. A timely move by Kathryn Bigelow (Academy Award winning director of THE HURT LOCKER and ZERO DARK THIRTY) brings her raw edge of your seat style to a piece of American history. Civil unrest in Detroit in the summer of ‘67. It’s unflinching, but it’ll make you flinch plenty. This isn’t a feelgood social commentary. This is a horror made only worse by the fact that it’s based on a true story. For many of us this’ll be the first time we see John Boyega act in a more serious role than his Star Wars part is giving him. Will Poulter (Maze Runner, The Revenant) does his best as a racist cop, and Hannah Murray gets a chance to break away from Game of Thrones as a little white girl caught up in the racially charged events. George Clooney is sitting in as director with a 60s set noir story he wrote alongside the Coen Brothers. Matt Damon plays a nice white collar dude in a white picket fence suburb with other nice white people. Perfect setting for a boring life where you raise your kids. Except this is now a daydream movie where action sneaks into real life. Nothing is what it appears and Damon has to navigate the violent underbelly of suburbia. Clooney attempts to ape the Coen Brothers cleverness and dark comedy and fails. The film also ham handles race, so if you’re looking for some decent commentary in that department skip Suburbicon and check out Detroit instead.